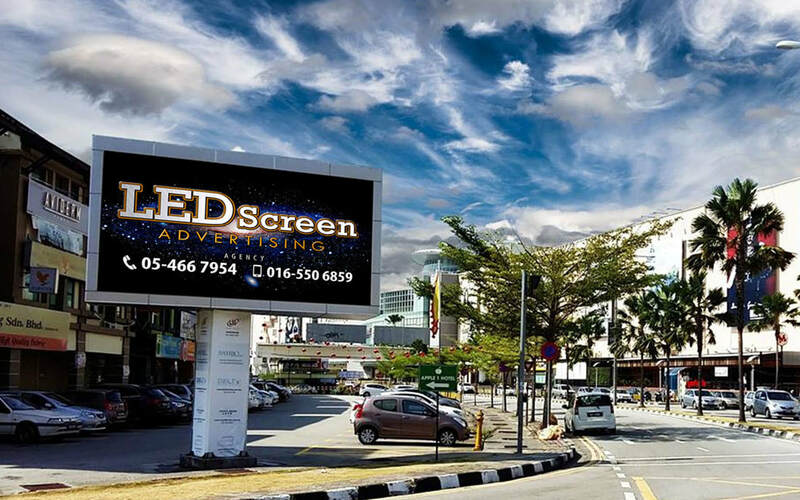 The LED screen is located at the busy traffic junction with Jalan Persiaran Bayan Indah. The location of the screen is mainly targeting traffic entering the Queensbay Mall. Thus, drivers or motorcyclist who entering or pass by the shopping mall will notice the big and bright LED screen advertising.